The Fairlie was invented and patented by the Scottish engineer Robert Francis Fairlie in 1864. He was of the opinion that conventional steam locomotive wasted weight on unpowered wheels and on a tender that did nothing but carry fuel and water without contributing to the locomotive's adhesive weight. Turning locomotives "in the right direction" was a cumbersome and wasteful process. He designed a locomotive that solved much of these problems and introduced, as usual, new difficulties in the process. 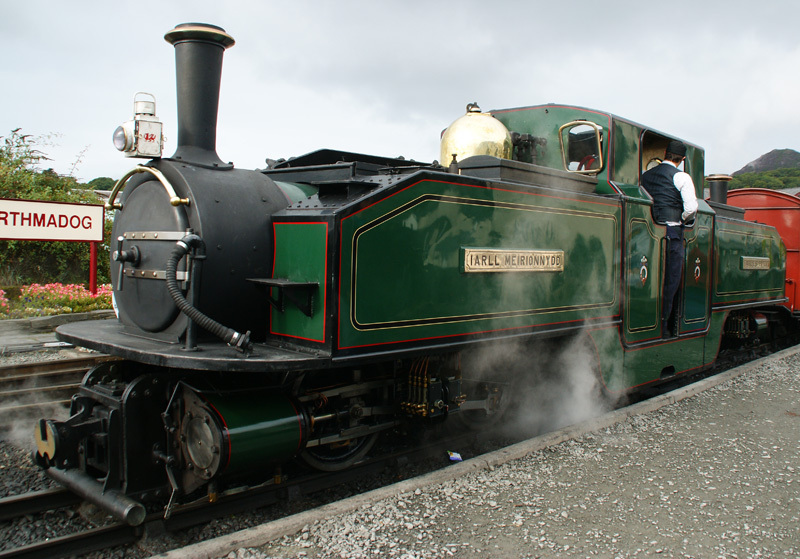 The original Fairlie design comprised a double ended boiler which would be fired from a common firebox. The locomotive ran on two swivelling bogies. The first Fairlie for the Neath and Brecon Railway was not successful. 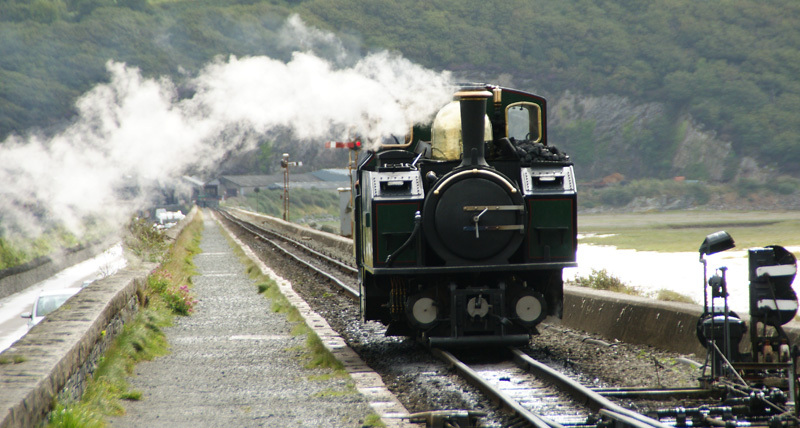 An improved version was introduced in 1869 on the Ffestiniog Railway and was an instant success. 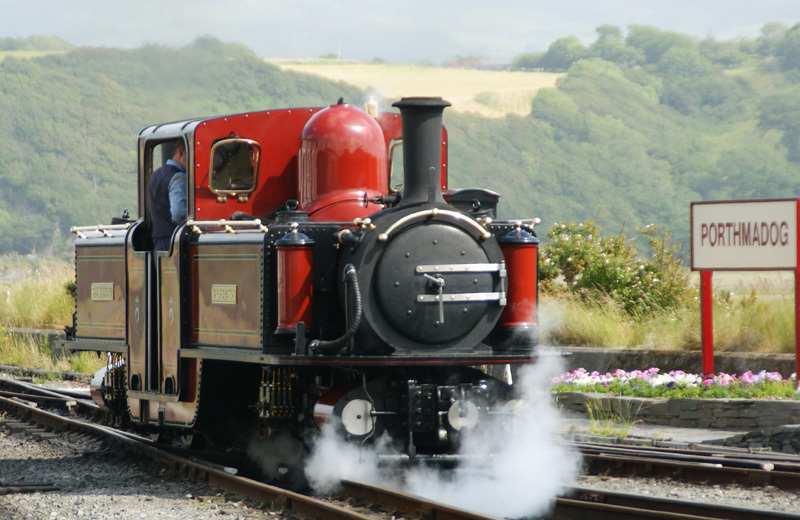 "James Spooner", one of the orignal Fairlies of the Ffestiniog Railway in 1887. The Fairlie went "over the pond" to the land of unlimited opportunity and gained some success there. Named after its US prime manufacturer the type was called "Mason bogie"
A Mason bogie, a single Fairlie with distinct "American looks" (source: http://www.ironhorse129.com/).